FEATURE — It is amazing how “times have changed” since I was a boy. I heard that quote many times from my parents or my elders as I grew to adulthood. I probably tend to embellish just as my elders did when I was a kid. Their stories were sometimes met with an eye roll, but more often than not, appreciation for a simpler time. As I began writing this particular column, I did so thinking that in today’s world my parents may have been considered negligent. But as I thought about it more, the truth is, growing up in the ’70s in a small town in rural Indiana was a simpler time. One day as we were out scouting the woods next to our home, my brothers and I came across something we had not seen before. A huge beehive had been constructed sometime in the previous week close to the tree where we had constructed our newest treehouse. I can’t remember whose idea it was, and it really doesn’t matter 40 years later, but one of us came up with a brilliant idea. Let’s sneak out our dad’s 12-gauge shotgun. Our mother was home and there was no way we could just walk the shotgun out the door. So Shawn and I waited by our parents’ bedroom window while Scott retrieved the gun and shells and handed them to us. We quickly hurried to dispose of the new menace. Now, none of us had ever fired a weapon before. We had not even seen our father shoot it. But it did not take us long to figure out how to load the shells into the gun. I was probably the most daredevil of the three brothers and I wanted to be the first to shoot at the beehive. Scott was the oldest and also the leader so what he said was usually the law. In this case, he agreed to let me shoot the gun first. It is hard to imagine, but this was quite a triumph for me. First to blurt out that I got to shoot first was daring in and of itself because I should have known that Scott would determine the order. And if Scott wanted to go first, he could have. Second, for Scott to agree to let me go first gave me a sense of gratification. Later, much later, Scott would reveal to me his calculated decision. I was the first step in his trial and error process. So the gun was loaded. I took careful aim. I knew to line up the sights on the barrel with my intended target. The gun was heavy in my thin 10-year old arms and holding it steady took some effort. But once the sights lined up I pulled the trigger. Now those who have fired a 12-gauge shotgun know that the kick is pretty good. Especially for a 90-pound preteen. It is even more impressive when the recoil hits you in the face. That’s right. I lined the shotgun sightings down the barrel right in front of my nose, not against my shoulder. Needless to say I was not in a position to see the end result of my careful aim as I was flat on my back holding my now bleeding nose and lips. After checking on me, the words Scott repeated still echo in my ears this day, “Okay, I guess that’s not the way to shoot it.” Duh. Excellent words of wisdom I could have used seconds earlier. It turns out that I missed the target completely. I was perfectly fine with passing the gun to the next shooter. Scott took the next turn and figured out putting the gun against his shoulder instead of using my pioneering technique. He missed. Shawn took a stab at it. He used Scott’s technique as well. Shawn’s shot rang true. He hit it square on. 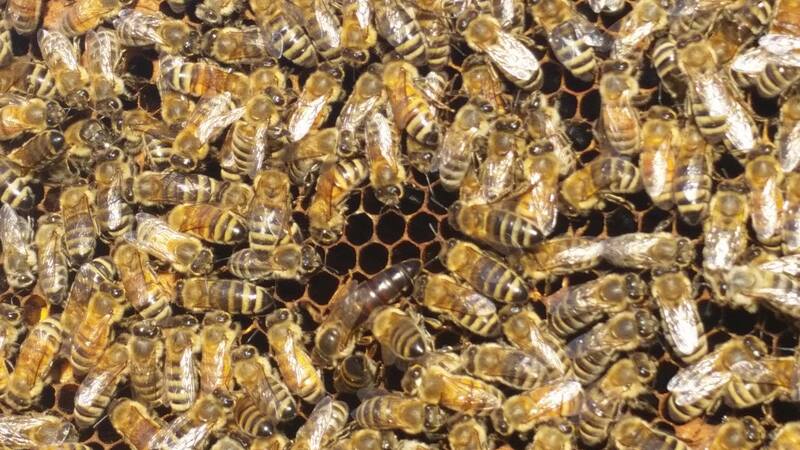 But amazingly though the beehive flattened momentarily, it expanded right back to its original form. After firing a few more times without success, we gave up. But just on the method, not on the end goal. 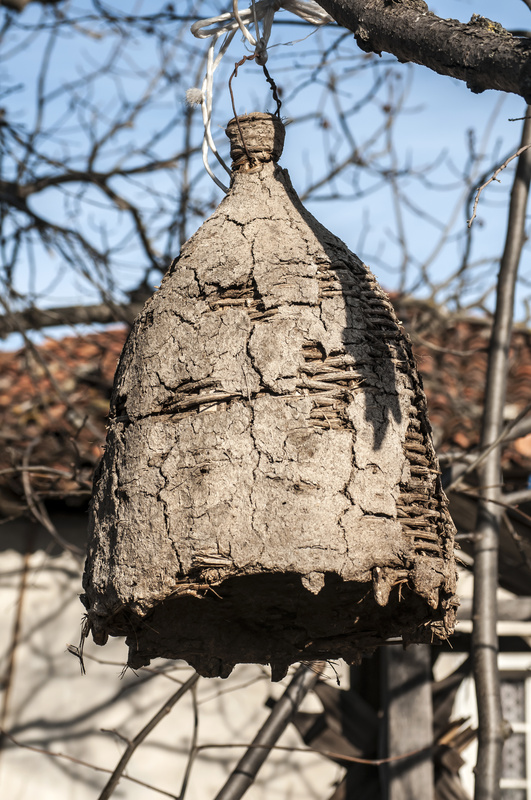 Somehow we got the idea that we would have to knock the beehive down with one of the long bamboo poles we had. I can’t remember why we had bamboo poles. But we did and they were long—probably 15-16 feet. Long enough for us to stand far enough away and not get stung. Or so we thought. So after sneaking in the gun the same way we snuck it out we returned with the bamboo poles. We all took turns trying to knock down the beehive. We could see the agitation of the bees buzzing around it but to that point we had not been harmed. On one of our attempts the pole got caught in a nook in the branch and we lost hold of it. It swung straight down and hung directly below the branch. But then Shawn surmised that if he had a running start he could grab the pole and be yards away before the bees even knew what hit them. It sounded like a good plan. As long as Shawn was the one who retrieved the pole. So I learned two things that day. One, when you take a running start at a beehive, the bees can see you coming. Two, a gangly, awkward 10-year-old boy cannot outrun a bee swarm. The swarm was on Shawn 20 yards into his sprint. Scott and I kept our distance but we saw Shawn rip off his shirt and start slapping the back of his neck before he went down in the tall grass. Ripping off his shirt seemed hasty at the time but it probably got rid of 95 percent of the bees on his body. The doctor (our childhood antics required many visits to the emergency room) later told my mother that Shawn had been stung 13 times on the neck. After that, we decided we would leave the bees in peace. Not too long after that my father taught us how to fire the shotgun. We never told him about the incident till years later, and he never asked. But he must have come to the realization somehow that the gun had been fired. As a parent myself now, I know: Parents know more than we kids think they do. Great article, Darren! I needed a good chuckle this afternoon. Thank you.